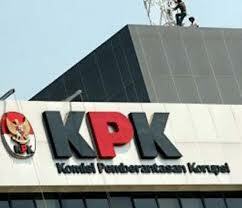 Ministry of Health pays a serious attention to the handling of post-election stress disorder that may befall legislative candidates who might experience stress after failing to secure seats in the election. To that end, Director of Prevention and Control of Mental and Drug Health Problems of Ministry of Health Fidiansjah said that, all hospitals have been given directions to prepare and even collect data related to mental health disorders. 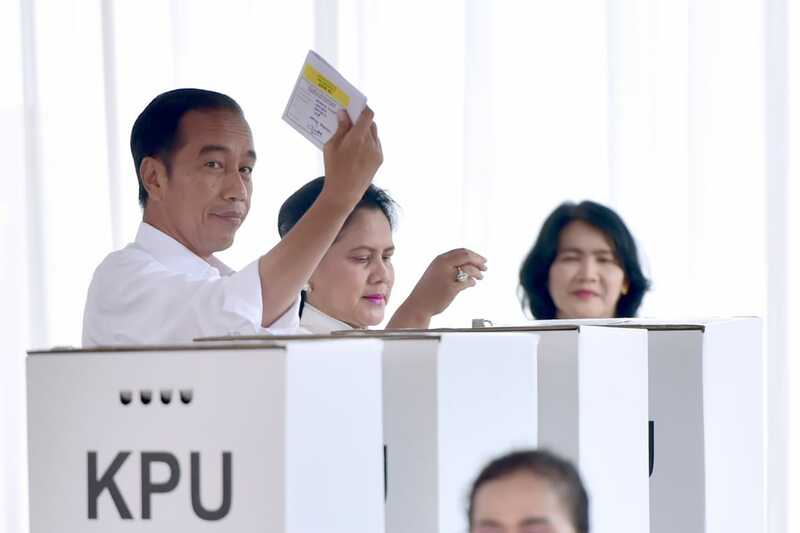 President Joko “Jokowi” Widodo and First Lady Ibu Joko Widodo casted their votes at Polling Station 008, Gambir, Central Jakarta, Wednesday (17/4). 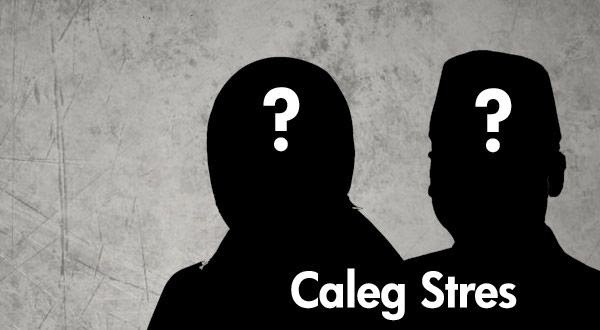 Upon the arrival at 10.10 a.m. Western Indonesian Time, the President and First Lady headed to the registration booth and waited for their turn to vote. 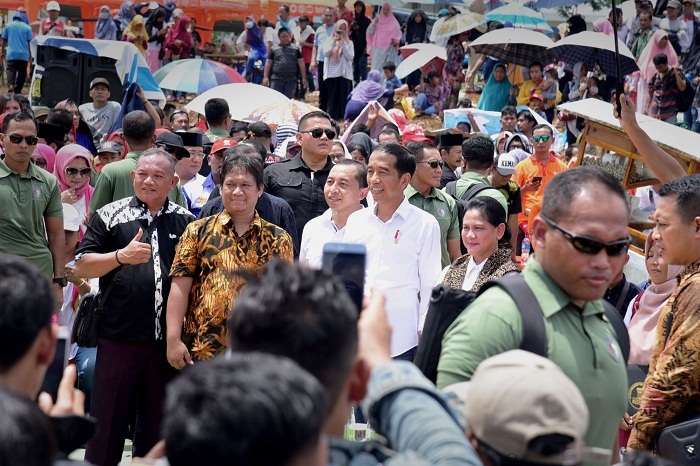 The National Statistics Agency (BPS) reported that Indonesia’s Human Development Index (HDI) has managed to reach 71.39 in 2018, or increased by 0.58 point or 0.82 percent compared to the figure in 2017 which stood at 70.81. “Human development index is measured based on three essential aspects, such as a long and healthy life, knowledge, and decent standard of living. 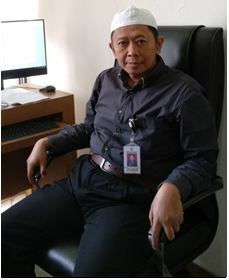 Thus, the increase in HDI is linked to an increase in each aspect,” Head of the BPS Suhariyanto said in a press conference, at the BPS Headquartes, Jakarta, Monday (15/3). 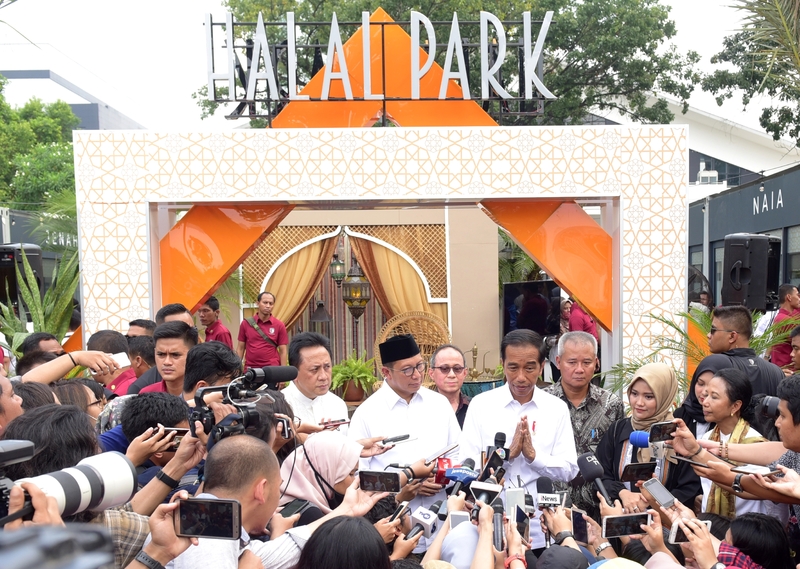 President Joko “Jokowi” Widodo inaugurated Halal Park, located within the Gelora Bung Karno (GBK) Senayan Complex, Central Jakarta, Tuesday (16/4). The Halal Park is an embryo of Halal District development that will also be built within the Complex. The Halal District will occupy 21,000 square meters land with an approximate of Rp250 billion investment. 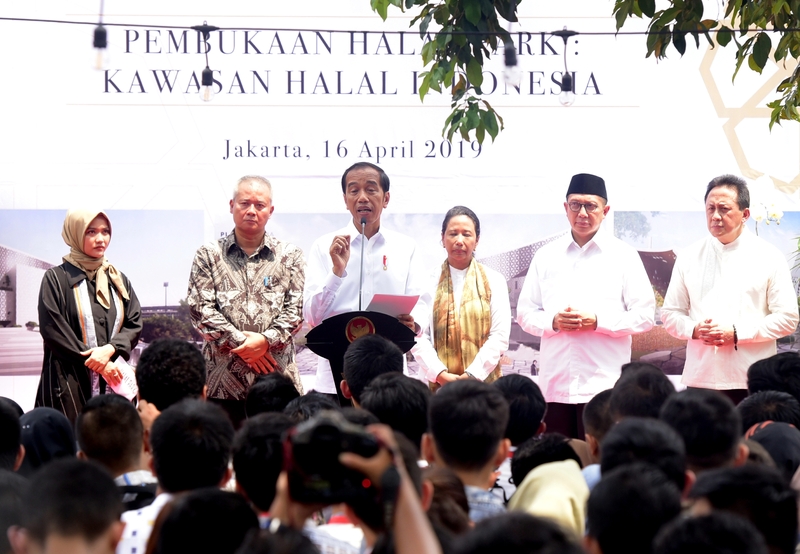 President Joko “Jokowi” Widodo said that the Indonesian Government received extra hajj quota from the Government of the Kingdom of Saudi Arabia during his meeting with King Salman bin Abdulaziz Al-Saud, at the King’s Private Palace (Al-Qasr Al-Khas), Sunday (14/4). “After meeting with King Salman, alhamdulilah, praise be to Allah, 10,000 Indonesia’s hajj quota for pilgrims has officially been granted to the Government,” President Jokowi said after the inauguration of Halal Park at the Gelora Bung Karno Sports Complex on Tuesday (16/4), Senayan, Central Jakarta. 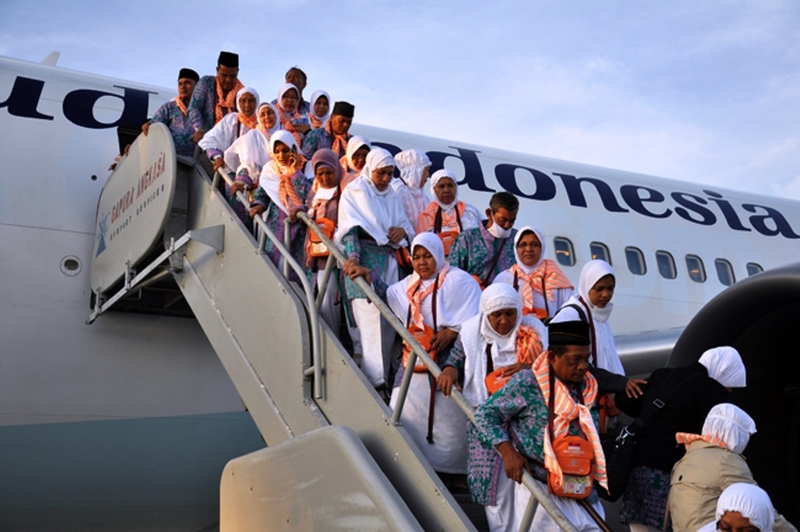 The Indonesian Ministry of Religion Affairs has pledged to be ‘all out’ to add newly granted 10,000 hajj quota given by the Kingdom of Saudi Arabia for Hajj season this year. 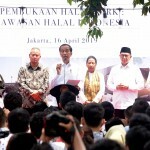 The statement was delivered by Minister of Religion Affairs Lukman Hakim Saifuddin following the decision of King of Saudi Arabia King Salman bin Abdulaziz al-Saud to grant an additional 10 thousand hajj quota for Indonesia during his meeting with President Joko ‘Jokowi’ Widodo in Riyadh, Saudi Arabia, Sunday (14/4). 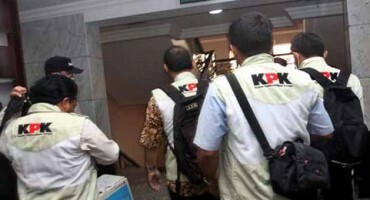 Indonesian Coordinating Minister for Political, Legal, and Security Affairs Wiranto dismissed a rumor saying that there would be chaos and riots during the upcoming general elections, which provoked an exodus of Indonesian citizens abroad. 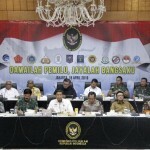 “The weekly graph shows that there is no surge of Indonesian people going or coming from abroad,” the Minister said after leading a video conference of Final Preparedness Coordination Meeting of the 2019 General Elections Security at Ministry for Political, Legal, and Security Affairs, Jakarta, Monday (15/4). 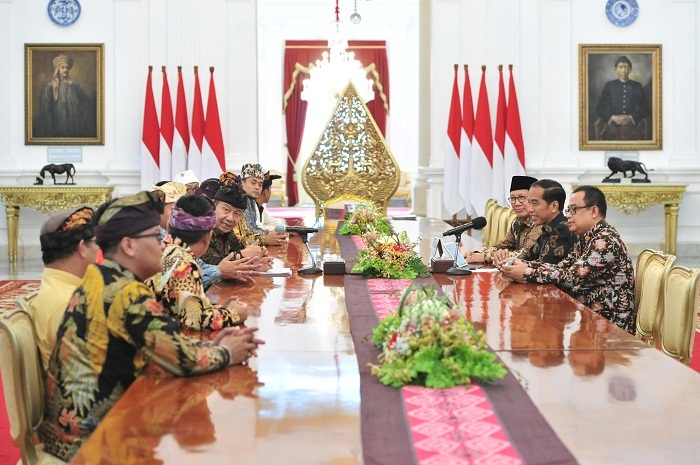 President Joko “Jokowi” Widodo on Sunday (14/4) met with Crown Prince of Saudi Arabia Mohammed bin Salman in a bilateral meeting held at the Palace of the Crown Prince in Riyadh. The meeting then continued with a state banquet. 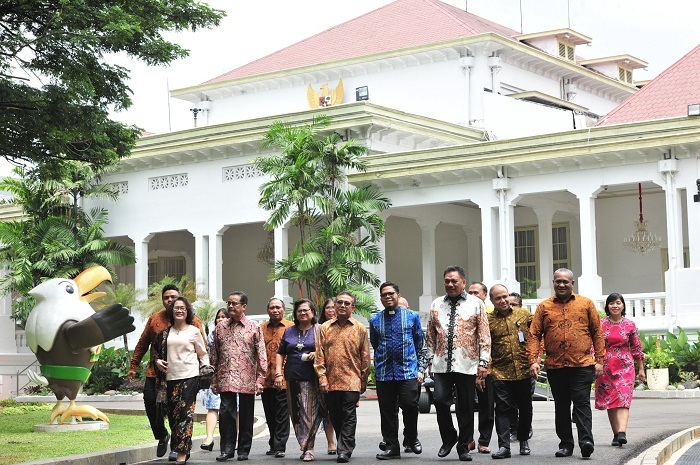 Speaking to reporters after the meeting, Indonesian Foreign Affairs Minister Retno Marsudi who accompanied the President during the bilateral meeting said that Indonesia-Saudi Arabia have agreed to establish a leader-level consultation mechanism and hold meetings once a year. Indonesia has recorded a trade balance surplus of US$540 million in March this year, according to Statistics Indonesia (BPS). 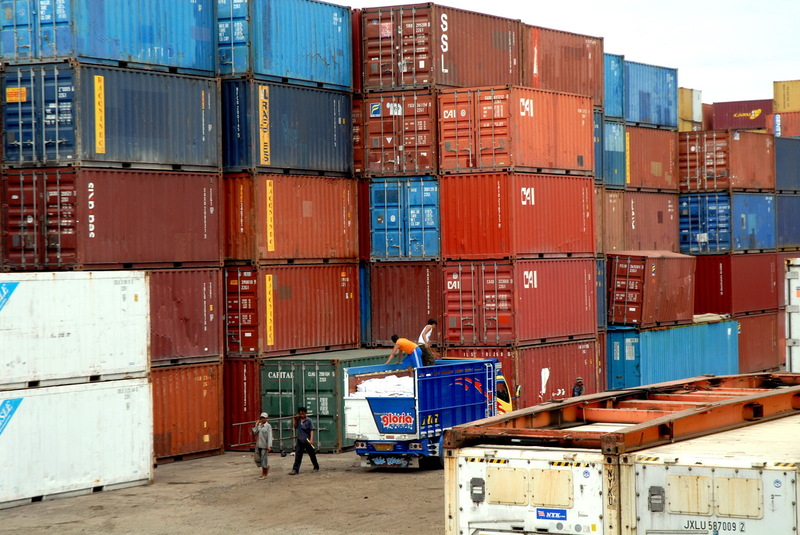 The total value of exports in March this year was recorded at US$14.03 billion, an 11.71% increase compared to that of last month. 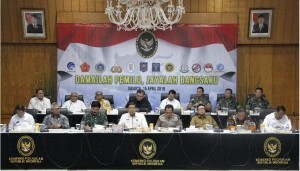 Coordinating Minister for Political, Legal, and Security Affairs Wiranto along with several high-ranking officials attend a coordination meeting at Coordinating Ministry for Political, Legal, and Security Affairs, Jakarta, Monday (15/4). 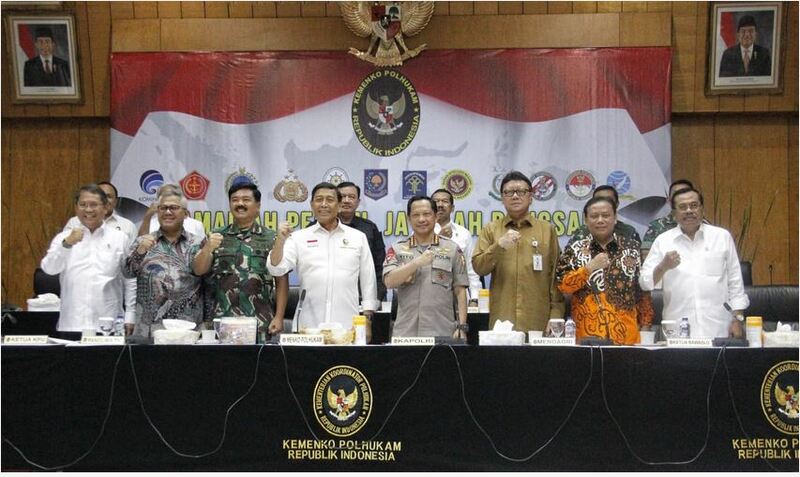 (Photo by: Coordinating Ministry for Political, Legal, and Security Affairs). Coordinating Minister for Political, Legal, and Security Affairs Wiranto instructed the Indonesian National Police (Polri) and the Indonesian National Defense Forces (TNI) to protect the people’s freedom to vote during the 2019 General Elections. 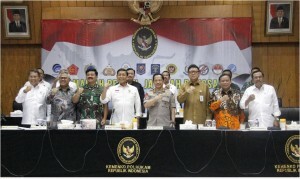 The Coordinating Minister also ensured that the two institutions will support the democratic fiesta, including maintaining security and overcoming any possible threats and disruption that may disturb the event. 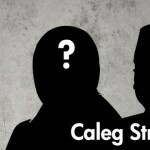 Dipo Alam: Promoting Pluralism through Paintings and Historical Fiction Novels.